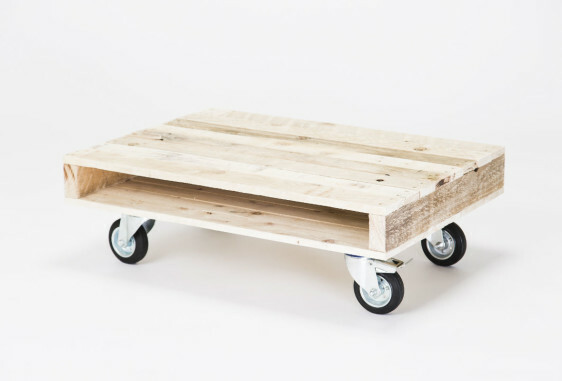 A small coffee table on wheels. 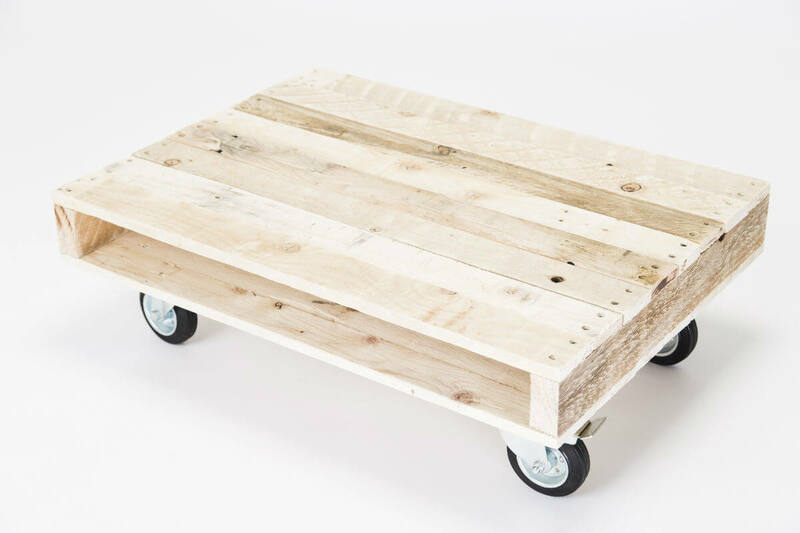 Add a serious statement to your office or home with this beautiful coffee table on wheels with inner storage, handmade using reclaimed pallet timber. 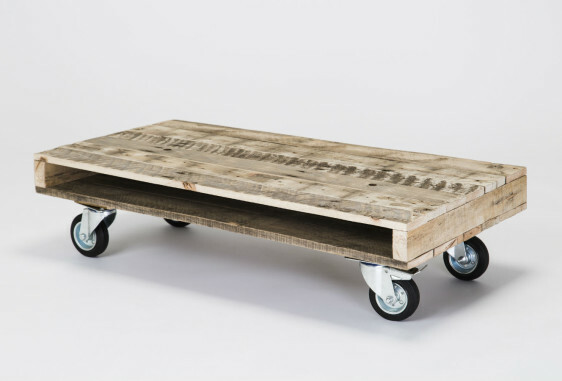 The reclaimed timber top rests elegantly on four steel and rubber wheels. 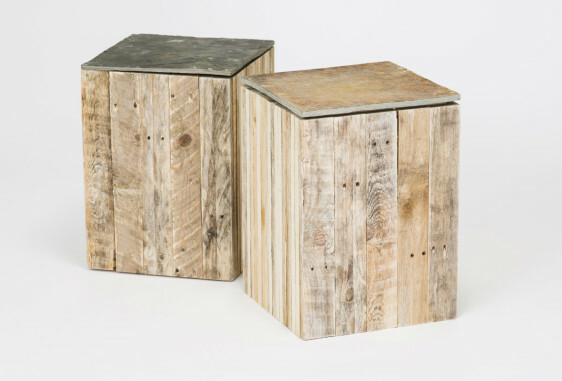 The beautiful textured timber is sanded smooth enough to touch but a rustic look still remains. The slim inner storage is perfect for books and laptops and other household or office items. The wheels, two of which have brakes, come in either black or white. They are extremely sturdy and move smoothly and easily. 50mm Wheels – approximate table height 180mm. Please note these size wheels are not rubber. 75mm Wheels – approximate table height 210mm. 100mm wheels – approximate table height 240mm. *To discuss having your coffee table on wheels in a bespoke size or to discuss other wheel colours or sizes please get in touch. We would love to hear from you. Please note that due to the nature of the wood we use your table may differ slightly in appearence to the ones in the photos.